The company Energo-Remont Sp. z o.o. [Ltd] exist on the domestic and foreign market since 1993, offering its clients experience, professionalism, high quality of work, an individual approach to each business partner and above all punctuality. The company aims to constantly strengthen the name of a professional and trusted partner in the implementation of projects that are technically complex at times convenient for the investor. 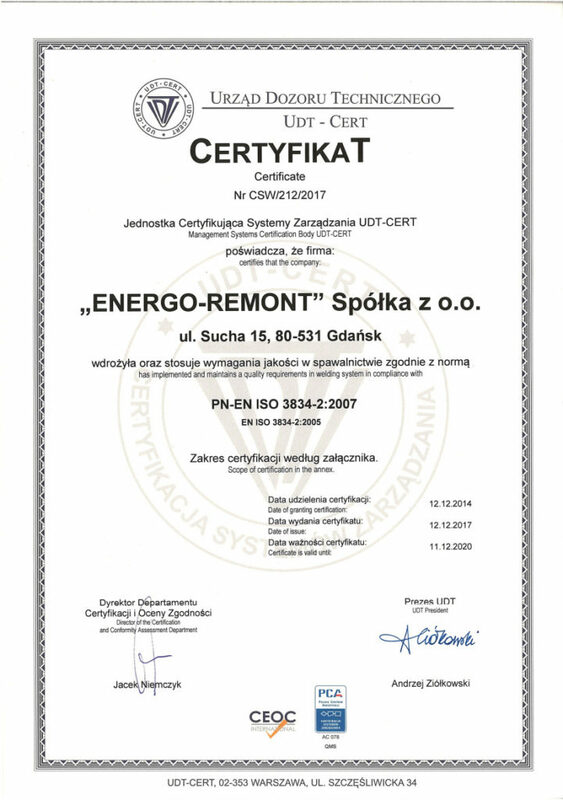 The main goal of Energo-Remont Sp. z o.o. [Ltd] is to satisfy the needs of clients in the area of the implementation of technically complex project respecting deadlines difficult for the competition. All employees of the company are involved in achieving the goals. Responsibility for quality lies with everyone involved in the manufacture of products and performance.